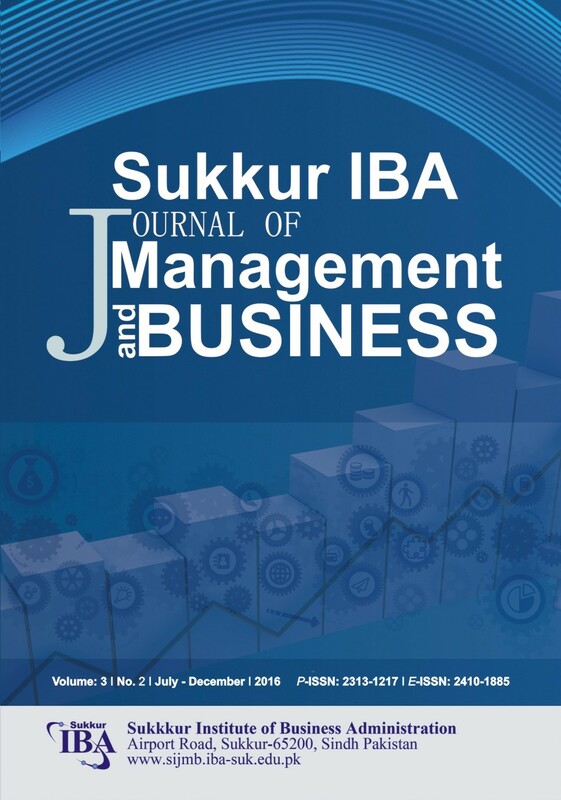 Once again its a pleasure to bring you the latest issue of Sukkur-IBA Journal of Management and Business (SIJMB). Following our editorial policy, this issue contains double blind peer-reviewed articles which address the key business, management and economic issues pertaining to both national and international levels. The continued efforts of our editorial team and reviewers have enabled SIJMB to present you the high quality research work based on the innovation, originality and contemporary issues in the core areas, but not limited to business, management and economics. SIJMB follows continuous improvement policy, and I thank all the stakeholders who have been the part of it. Moreover, SIJMB has continued its open access policy in order to reach larger audience and wider dessimination of published work. While not forgetting that the SIJMB has an intitutional association with Sukkur Institute of Business Administration. Infact, the initiation of SIJMB is an outcome of strong research orientation followed by the institute and I am grateful for continuous institutional support in this regard. In addition, the SIJMB provides valuable platform for national and international researchers and publishes their research findings and disseminates it to the largest stakeholders. The journal charges no any fees and also provides complimentary copy (in hard form) to each author also the supplement copies of the journal distributed to HEI and R&D institutions of the country. The journal has been archived by world’s renowned scientific repositories. Journal has received recognition from several research agencies, universities and renowned professors. With pleasure, it is also to share with you all that the SIJMB has recognized by the Higher Education Commission (HEC) of Pakistan with ‘Z’ category. In coming years, the journal aim to improve its current state by attracting more national and international researchers in the field of business, management and economics. On behalf of the SIJMB, I welcome submissions for the upcoming issues of the journal and looking forward to receive your valuable feedback.